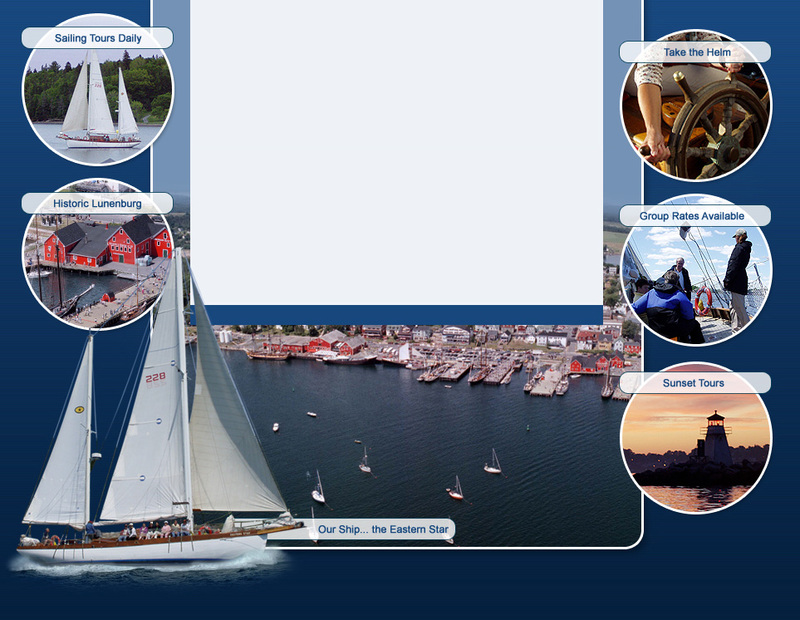 The Eastern Star 2 hour tour departs daily at specific times and private charters are available. or fill out the form below. You can expect a response within 48 hours. *Note: All prices are tax included; all tours depart from the Fisheries Museum Wharf, Lunenburg; 6 passengers minimum for each scheduled tour; 30 passenger maximum capacity; family fee (two adults, two children under 16 years of age). Our ticket booth on the Lunenburg waterfront opens for the summer season at the end of May (Victoria Day Weekend) each year. Our booth is open 9 a.m. - 7 p.m. daily (weather permitting). In case of bad weather, call 1-877-386-3535 for reservations. *Note: Sunset Tours available June thru October; call for Day Tour departure times during June, September & October. When booking a tour or charter via the form below make sure all 'required fields' are completed in full. All advance bookings require a 25% deposit, which will be refunded if cancelled no later than 48 hours prior to departure. Deposits can be made via Visa or MasterCard or mailed by cheque to the following address: Star Charters Ltd., P.O. Box 517, Lunenburg, Nova Scotia, Canada, B0J 2C0. Once the reservation or inquiry form has been received, bookings will be confirmed via e-mail or telephone within 48 hours. If requested sailing times and dates are unavailable, alternate times and dates will be suggested.